If you are looking for relief from just about any disease, turmeric is your answer. 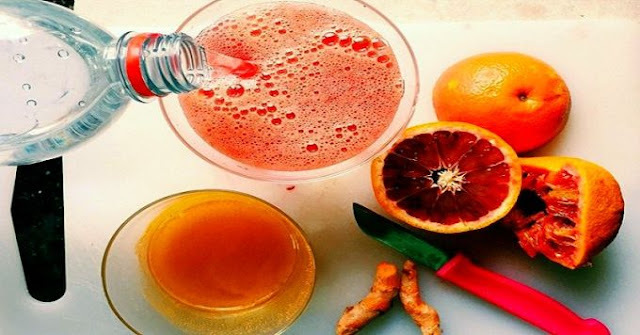 This orange-colored root is an anti-inflamatory that stops the growth of pre-cancerous cells, helps Alzheimer’s, lowers bad cholesterol, and treats skin cancer. Turmeric is used for arthritis, heartburn (dyspepsia), stomach pain, diarrhea, intestinal gas, stomach bloating, loss of appetite, jaundice, liver problems and gallbladder disorders. Turmeric is also used for headaches, bronchitis, colds, lung infections, fibromyalgia, leprosy, fever, menstrual problems, and cancer. Other uses include depression, water retention, worms, and kidney problems. And, although it stains everything, including your teeth, temporarily, it really works to clean your teeth, whitening them, without damaging your teeth like peroxide does. Turmeric is pretty much a super root with super powers. It’s packed full of antioxidants, has anti-inflammatory properties, is great for brain health, lowers risk of heart disease, and as mentioned has been found to lift depression. In this clinical trial, on major depressive disorder (MDD), Curcumin (the active ingredient in turmeric) equaled the effects of the prescription drug fluoxetine (the generic form of Prozac), without the adverse effects! When asked how curcumin is applicable to depression, Dr. Ajay Goel, Baylor Research Institute and Charles A Sammons Cancer Center, Baylor University Medical Center and study co-author, stated, “It is a novel and surprising application for this natural medicine. People with depression have higher levels of inflammation in the brain. Also, people with depression have lower levels of neurogenesis in the brain, meaning they make fewer new brain cells than people with no history of depression. Curcumin is both a potent anti-inflammatory agent and a powerful stimulator for neurogenesis. Also important to know, is that new research has found that simply cooking with turmeric greatly reduces inflammation in the body! Share This Post With Your Friends and Family..!